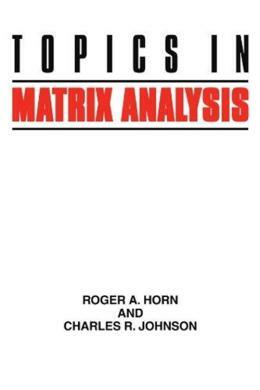 Building on the foundations of its predecessor volume, Matrix Analysis, this book treats in detail several topics in matrix theory not included in the previous volume, but with important applications and of special mathematical interest. As with theprevious volume, the authors assume a background knowledge of elementary linear algebra and rudimentary analytical concepts. Many examples and exercises of varying difficulty are included.